B0838. 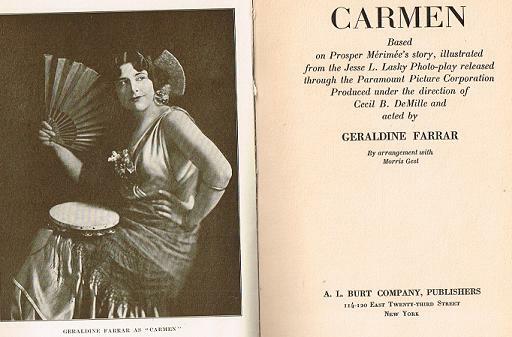 CARMEN, Based on Prosper Mérimée’s story, illustrated from Jesse L. Lasky Photo-play released through the Paramount Picture Corporation, Produced under the direction of Cecil B. DeMille and acted by GERALDINE FARRAR. New York, A. L. Burt, 1915. 190pp. Photos. 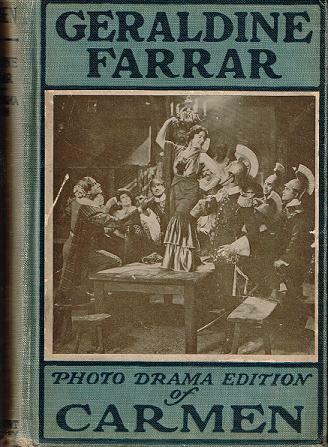 Hardbound copy of Original 1915 Printing has minor internal splitting at spine.